He threw out a few more tweets from Atlantic Education, so I went to the web. David Domenici was speaking at Education Summit 2016 about learning behind bars. While I hope the feed from his talk will be posted sometime soon, the 3rd hit on my search was an article from Education Week entitled: Juvenile-Justice System Not Meeting Educational Needs. Reading through this article was difficult, I started my job working at a juvenile center only 2 years ago and I have worked hard to bring a “regular education” classroom environment to my building. I know there are problems within the system as a whole, I just was hit once again with the negative scrutiny teachers have had- only this time from a direction I did not expect. I need to describe my situation (what I can) in regards to some of the comments suggested by the article, and I will also read the full research report the article was based off- Just Learning: The Imperative to Transform Juvenile Justice Systems Into Effective Educational Systems. I plan on blogging a reaction to that later. [The report] found a lack of timely, accurate assessments of the needs of students entering the system, little coordination between learning and teaching during a student’s stay, and inconsistency in curricula. Many of the teaching methods were also inappropriate, outdated, our inadequate, and little or no educational technology was used. As teachers we need to have a thick skin, but this was a total slap in the face. I take my profession very seriously, I hold myself to high standards, and I respect the school and program we have here. It is crushing to have generalized statements like this published world-wide, it is forming perceptions that- while may be true for many centers- it doesn’t define my building, my teaching, my students. It’s hard not to take things like this personal. Accurate assessments- when I read a general statement such as this I cringe. What type of assessment are we talking about her? Academic? Special Services? What do you mean by accurate? For our building we test every student who come into our door within 1 to 2 days. They take the STAR Math and Reading test. While I may not agree that this is the best type of assessment, it does provide a baseline for student knowledge. I do not agree with the STAR Math “placement”, but I do look at student domain scores on strands. This is our academic assessment. For our special service assessments, we receive individual IEP’s from the student’s home district. If they don’t have those, many of our students are placed here for a 35 day evaluation. We have 2 at least social, academic and behavioral reports to fill out on those students during that time. We perform IEP re-evaluations and testing. Our center is on top of assessments. Little coordination between learning and teaching- Wow, I assess in some form every day, and that assessment drives my planning for the next. My lessons are planned for student engagement, and plans for multiple opportunities learn through individual, small group and whole group activities. While students come in anywhere within my planned units, I take extra time to scaffold and support those students. Inconsistency in curricula- This is the only phrase I find true in this quote. With having so many students from anywhere within the state of Minnesota, it is impossible for me to have resources from every student’s home school. We use curriculum that our district does. This is not a new concept- every district has it’s own. I am just not sure why they have to present it in this manner- it makes it appear like there isn’t an instructional plan in place. Teaching methods- Since I am back in school for my Master’s in Special Education- Students with Learning Disabilities, I feel that I am still in contact with what current best instructional practices are. I am also connected with my National and State Mathematics Councils, as well as active through social media. Educational Technology- It is true that my student’s have extremely limited internet access (because of legal purposes), but I do use technology whenever I can. I also teach a robotics class where we are fortunate to have the LEGO Education Mindstorms EV3 Packs. We get tech. This is a statement I can’t agree with more. I still have not received a straight answer on how our school is held accountable for AYP, but it is not fair to our district overall. We have students who are here for truancy- they haven’t been to school for a couple of years. They are sent here for evaluations and to determine what placement they will have. While here, I work hard to meet the student where their educational needs are. During that time, we have our state assessments. While one may think that our school shouldn’t be held accountable for students we have for a day, a week or even a month- we are. We need to wake up to the fact that our students are transient now, if they fail or are expelled or get into too much trouble with grades or behaviors- they switch districts. Changing schools creates learning gaps that become compounded with each jump. I have known students who have attended 7 or more different schools within one year. How do you determine which school is accountable for that student’s state assessment score? I have students for a half a day, a week, a month. I can show how my student has grown while they are here, but how am I able to ensure my student is meeting state standards? With a volatile population like this, how is it fair to our district overall to always be flagged as not meeting our goals? There needs to be some long and tough conversations on this. Totally false. Education is NEVER forgotten within my classroom. I work hard every day to help these students grow and strengthen their mathematical skills. The perspective of students when they walk through my door the first day is that they will do word searches or watch movies- which is FAR from the case. Many students have told me- “This is like regular school!” It is, I don’t treat my job different in that regard because I work at a juvenile center. If anything, I change their perspective on what expectations are held, I raise that bar. Education is far from forgotten. Fewer than half of “long term” students (enrolled for at least 90 days) earned one or more course credits while attending juvenile-justice schools. Only 25 percent of those students were on track to re-enter public schools. Once again, this is a lot of smoke and mirrors. Three months would be a quarter for school. As such, students would receive .25 credits for any class they took here. For my unit, we record a hourly total for students while they attend classes. This statement is misleading. 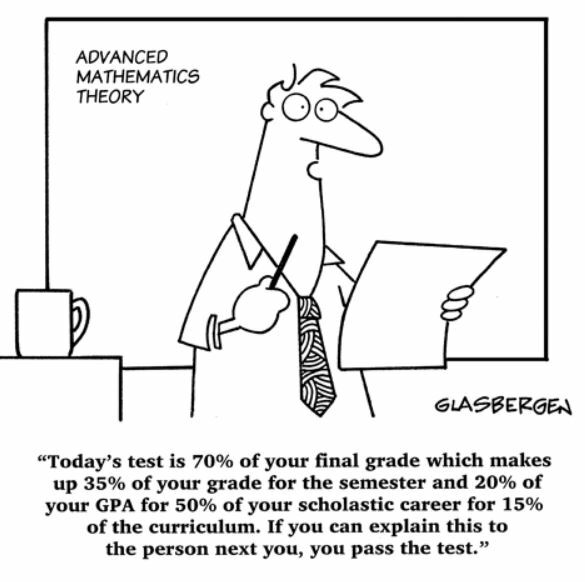 There is no way a student would attain a full credit for a class within that time frame in a regular education setting. The other barrier is that while we report how long students have been with us to their home district, how that is interpreted into their graduation standards is up to them, not us. Many school districts feel that our courses are not rigorous and refuse to assign credits to their work. Other districts have no idea on how we assign grades and work so they throw out the records we send. That is not our failing entirely- there needs to be better communication between school to solidify this (although this same thing happens when college students transfer, is there outrage to this?). Only 25% are on track, like I have stated before- our students are here for truancy or have been “school shopping” for most of their educational careers, they are behind before they enter our program, there is no way we would be able to “catch them up” within a normal school day. Students would have to extend the hours they attend academic classes. 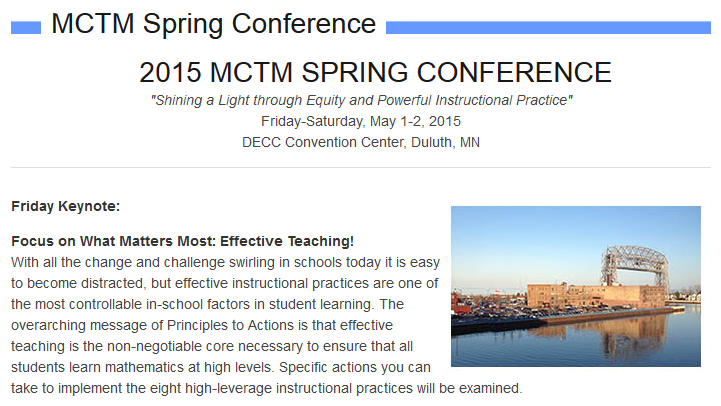 This week, at the MCTM conference in Duluth, I had the pleasure of listening to Sara VanDerWerf. She was advocating for something I already now believe in- the power of teaching, twitter and the MTBoS. She made the statement: “Many of you expressed you wanted different opportunities to connect and collaborate with your peers, Twitter is that opportunity.” While I now totally agree with this statement, there were many years that I did not, and this post is about the reasons why. When I am in my classroom, there is no second-guessing what I do or how I have planned out the day. I am ready for any challenge presented to me by my students- in fact I welcome it. I believe that I have created great experiences for students to experience, discover and learn math. I do not worry when my administrator drops by for a visit- they typically are impressed with what happens in my room (especially since I have had 8 different administrators within the 12 years I have been teaching). As every teacher does, you start to collect a variety of go-to lessons that begin to define your curriculum. These involve activities that inspire students, create wonder, contain great mathematics and ignite heated discussions. I needed a place to start to store these gems- something other than the behemoth of filing cabinets I see in my peer’s rooms. I have always been a techie, I wanted to store my ideas someplace that wasn’t physically limiting (especially when it comes that time to change jobs). That is when I first started to think of the internet as a place other than my vast resource for ideas- but rather a place to store my ideas. I began to creep as my students would say. I started visiting blogs, devouring ideas and manipulating them into something I could use for my classroom. I used those blogs to find others- until I had this big web of sites I visited weekly, and some daily. I found myself connecting to many posts and responders- suddenly for the first time I began to feel that I was not alone on my classroom island (I worked at a school where I was the only mathematics teacher at that level, and vertical discussion of practices or curriculum was not met with enthusiasm). I wrote my first blog, about linear equations, and it wasn’t very good. I shouldn’t have been disappointed, it was written for me- having anyone else discover it would be a bonus (so to say). Still when putting yourself out there publicly, it’s hard to not focus on what happens publicly (or lack thereof). I just focused on my students and classroom and let the beast that is the MTBoS lie. It wasn’t until I read Dan’s post, Why Do You Blog: Then Vs. Now?, that I starting thinking about why I took that first step into the MTBoS. I wanted to not only make an online resource for myself, but I wanted to reach beyond my physical locale- I wanted to find other teachers who were in similar belief and what they were doing to be successful. Dan and a colleague, Dana Woods, started me blogging again, and for this I am very grateful. Every time I post I have this nagging fear of how my posts will be received, I have come to respect you all and rely on you guys- and to that end I do not want to disappoint you in ridiculous blather. On the flip side, I really wish you all to read this and provide me with input, ways to make me a better teacher for my students. Currently, I feel that I may be slightly adrift with my blogs, that there are many focal points that interest me at this time. I also feel like I haven’t been able to fully devote myself to my reflectional blog, but that comes with taking on a new position at a new school district. BUT I have met a lot of great, supportive people on the MTBoS, and consider you all friends. You have pushed me to grow in a way I never did before I discovered this community. I continue to grow with you, and you never cease to create a smile when I roll through tweets. To this day, I am still hesitant to share with others my twitter handle or blog address, I still am intimidated with the thought that others may wonder what the heck I am thinking with my ideas- but I know that this community has allowed me to expand my MTBoS voice while challenging me to improve myself professionally in a way that no other PLC could. Thank you. 1) Look for commonality within Substrands. Read the standards and envision the tasks you will ask students to do. Band standards that make sense. I would band these two standards together because I see a task where I ask students to create pictures of polygons, lines, points, rays and angles. Read through all of the standards for a substrand, think on what rich activities or tasks you have students experience and use them. Creating connectivity between standards and helping students see the overarching picture of why they are learning them will create critical thinkers in mathematics. 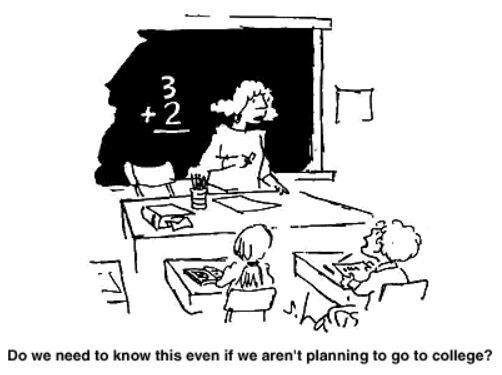 Students will begin asking themselves about connectivity and will look for mathematics in other activities from non-mathematics classes. 2) Look for commonality between Substrands. Just because you are working on an Algebra strand doesn’t mean that students can’t also explore Statistics and Probability. In fact, one activity I like students to perform for me in 8th grade is constructing graphs of positive and negative association, constructing a line of best fit and equation of that line. Once again, this will build a connectivity of mathematics that students will see, understand and start to investigate on their own. Students should not think that every day of math class is a new skill they need to perform, independent of all the other skills they know in mathematics. 3) Look for the lateral progression of the strand. You are a teacher, preparing students for their future. 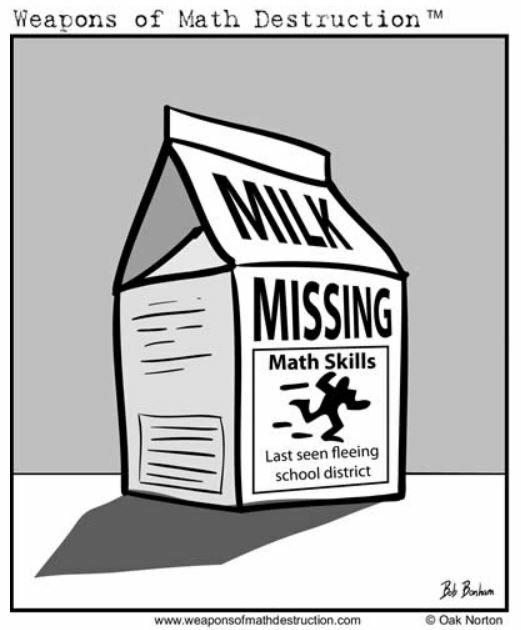 One question students always ask is why/when are they going to use the math. The best way to not have to address this question is to have a good understanding how the concept progresses throughout a student’s education. Knowing where it is introduced and how it is developed in previous grades gives you a baseline to ask refresher questions and introduction point. Knowing where they will use the concept in later years provides you an outline for mastery that students will need, beyond their current grade. It allows you to use vocabulary they currently know and transition them into vocabulary they will need now and later. Elementary students should know when they are doing Algebra, don’t make it such a big mystery and surprise to them in 8th grade. Vertical PLC’s are very important for this step. At the minimum, talk with the teachers 2-3 grade levels above you and let them know how you present topics and what vocabulary you use. Creating this channel for professional talk with go a long way to ensure students are successful in their latter years. 4) Know the testing benchmarks of the strands. Every high-stakes test should has a reference for teachers outlining the sample size of questions for each substrand. Some call it benchmarks, some performance standards- but the bottom line is they tell you how many questions each student will receive on a topic. This should come into play in your planning, make sure that you give students ample time with those concepts most tested. I am not saying to teach to the test, but to realize that just because you spend two weeks on probability students may not have mastered the skills to answer 15 test questions in an end of year, high pressure situation. 5) Make your Essential Standards manageable. You aren’t just rewording each substrand and making it your own. You are doing this for a purpose, to make a guideline for your year that is manageable. Students can handle around 8 big ideas throughout the school year, don’t make your Essential Standards such that they are presented with 20 different ideas/topics. Essential Standards need to be big, broad statements that encompass the mathematical concept, not breaking it down into individual parts. Contrary to some beliefs, students are not great at “assembly line” learning in math, they need to build the whole car, not just the seats. Structure your standards and year so that your students become the managers of the math factory, not specialized implementers. 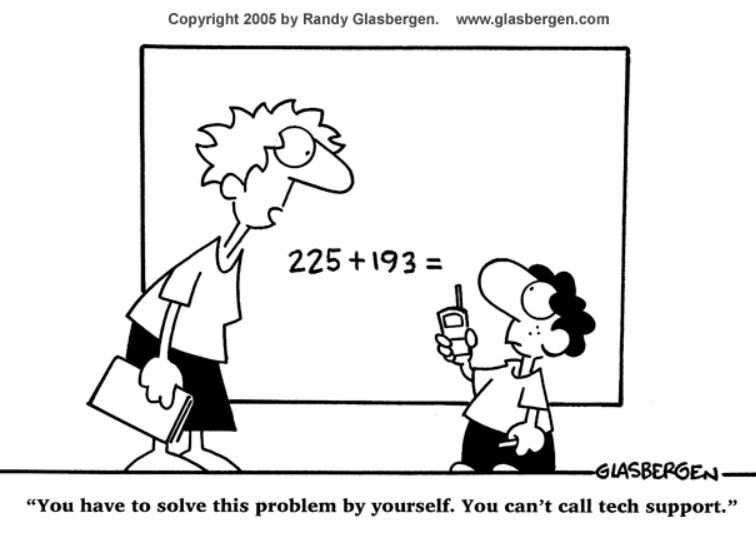 You are the professional, you know what students will need to accomplish the lesson- make sure that you provide it. Don’t blindly follow pre-made lessons from the publishing company, don’t feel you have to start at chapter one and progress through chapter fifteen. Provide your students with the tools they need to be successful, realizing that those tool change with each class, and with each individual. Don’t create barriers, students are ready for more than you realize- provide the nurturing scaffolding they require to help them accomplish great things. 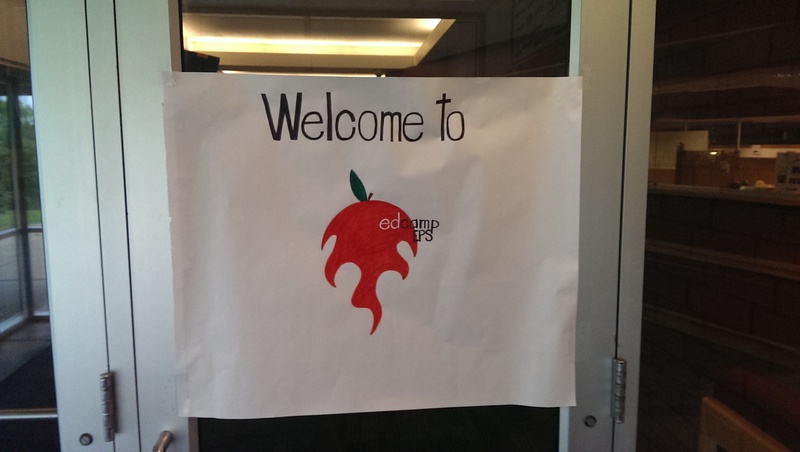 #EdCampEPS was an outstanding first experience in the EdCamp phenomena. @mlament (Michelle) talked me (indirectly) into getting up at 3AM and driving a total of 4 – 4 1/2 hours to attend this very different approach to Professional Development. For those of you who haven’t participated in an EdCamp, here is what happens. You sign up to go, but there is no set agenda. When everyone arrives, there is a session building segment where you get to add sessions that you have interest in. Let’s say I wanted to have a session on CGI, I could either want to discuss it, present it or learn about it. That difference is usually denoted according to color codes. You then choose what sessions you want to attend and that is EdCamp. This was a great discussion overall and there was a lot of talk about capstones in high school. Some of the biggest things discussed were “project burnout” and student interest in projects. Project Burnout Questions: If we expect students to do PBL for all of their core classes, wouldn’t that mean that they are doing 4 projects all the time, all year? After the novelty of the instructional approach wore off, would you also lose student interest like experienced in classes now? Student Interest Questions: How can you keep student interest throughout a capstone or project? How do you engage those students who have no academic motivation? General Answers: Knowing student interest is the key. Allowing students to choose overall topic and having a menu of tasks to complete the project seems to work best for students. The task menu also allows student change paths in their project if they decide a certain part is not working. Projects that can become cross-curricular will also encourage students- covering 2 classes in one. Having students working on projects allows more teacher contact time to encourage and support struggling groups. Make projects meaningful over just a busy task also instill authenticity and student interest/motivation. Having students present to a whole grade, public display (school broadcast), or community presentation also provides motivation for students to complete a quality project. Typically start the year off small, allowing students to understand expectations. This was a great session to attend overall, there were great conversations about PBL. It can be a daunting step in lesson design. Make sure to do your up-front work, generate a list of options from students to choose from. This way, even though you are allowing students the freedom of project choice- you provide them with choices that you feel confident will successfully display student proficiency and will have an effective evaluation rubric generated. Even if you are not totally sold on this learning environment, try infusing a couple of great projects into your lessons and see how it works. Reach out digitally, but to do this effectively you need to be consistent. It is not a process that finds instant success, you need to remind parents where they can find posts, and caution them that is an informational posting, not a chat. Moderating the social mediums will be important, there will be parents and students who post things that are not appropriate for the site’s purpose. Linking your accounts to support different apps helps: posting on wordpress will also automatically post to twitter, linkedin, facebook, etc. Having a school #hashtag will allow parents and students to easily look up posts for your school. We want students to enjoy school and parents to be involved- we need to provide as much PR as we can so they will become involved with our schools. Using students to create reports of school events instead of principal or staff increases student and parent interest. A weekly student news report worked very well. Having a school informational system displaying a live twitter feed during conferences and school events to promote digital connections. School projects can be tied in to digital movement (eg. Student Business Adventures). Touchcast: Anyone can easily create professional-quality videos combined with all the interactivity you expect to find inside a browser. We call these TouchCasts, a new medium that looks like video, but feels like the web. EduAllstars: Podcasts with the difference makers in education. Podcast: Many different options for podcasts, check out the link. Bam Radio: BAM! is an acronym for “body and mind” and BAM! Radio was conceived in 2007 on the premise that the key to success in life for children and youth is nuturing a healthy mind in a healthy body. iPadio: Broadcast live to the web from a phone call. Sound Cloud: Our all-new app for iPhone. Made for you to hear more. Beautifully simple to use, the SoundCloud app lets you hear more of what you love. Voxer: Instant voice on smartphones that’s live like two-way radios, but is saved so you never miss a message. Alongside voice, share text, photos and location globally. iMovie: iMovie makes it easy to browse and share the HD video you shoot on your iOS device. Turn your favorite clips into blockbuster movies or Hollywood‑style trailers. And watch your mini‑masterpieces anywhere with iMovie Theater. A few taps, a few swipes, and you’re ready for your big premiere. We live in a digital world, our parents and students are digitally connected. They live via the web or smartphone. To be effectively connecting with them, we need to meet them on that level. Using digital applications to connect our school to parents and students isn’t only easy to do, it the smart thing to do. If we can make school more accessible for parents and students, we will find that they will become connected and involved. Class Craft– cool platform for tracking gamification, creating clans, giving badges and stats to students, etc. Iwoa 1:1 institute– Introduction to Gamification: What is gamification? Definitions and examples. Star Trek- Teacher is the captain. Get a silver bead for their pin. Gamification can be an effective way to pull students into curriculum where they might not otherwise become engaged. There is a lot of front-end work to do: you need to build your world, decide how students will “level”, what tasks or quests are involved and what end rewards students will be working for. Students enjoy creating avatars for themselves and once they buy into the process are typically very engaged. You need to have a strong directive/narrative for Gamification to be effective. This session was just an open discussion format brainstorming how to implement SBG into any classroom. One of the biggest concerns was: does homework count? How is homework graded? The general consensus was that homework may be collected, marked and discussed but overall in the gradebook it would not hold any weighted value. Having a pretest on the standard is necessary as it will allow you to measure growth and determine what RTI interventions is needed. RTI seemed to be a topic we all discussed- should we not push those who will have met the standard instead of letting them tune out class? Leveled assignments could accomplish this. Create assignments where a 2-3 (on a 4 pt scale) will likely be proficient on the standard, then create a scaffolding assignment and an enrichment assignment for each standard. Students then choose what assignment they want to complete, knowing the corresponding grade they will receive based on the difficulty. SBG, although seemingly easily defined, can be quite complex based on the teacher’s vision of what they deem proficient. It seems that it would be a system best implemented as some type of team, so you can reflect and evaluate. I really enjoyed my first experience with EdCamp, and I thank Michelle. I would highly recommend it for any teacher- you will find it very rewarding and helpful. One thing I would suggest is to be like me and take a drive to an EdCamp from a different area, networking with teachers outside your locale will help you look beyond your district’s mindset and creates opportunities to change or improve curriculum within your school.